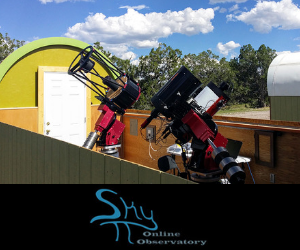 iTelescope.net, Insight Observatory's remote robotic telescope network partner, recently started a new program called Sky Tours. iTelescope.Net Sky Tours is a paid, weekly, interactive live video stream of the night sky using iTelescope.net remote robotic telescopes and hosted by Dr. Christian Sasse. In each episode, Dr. Sasse selects targets of interest that are visible from iTelescope.net telescopes and talks about these targets. 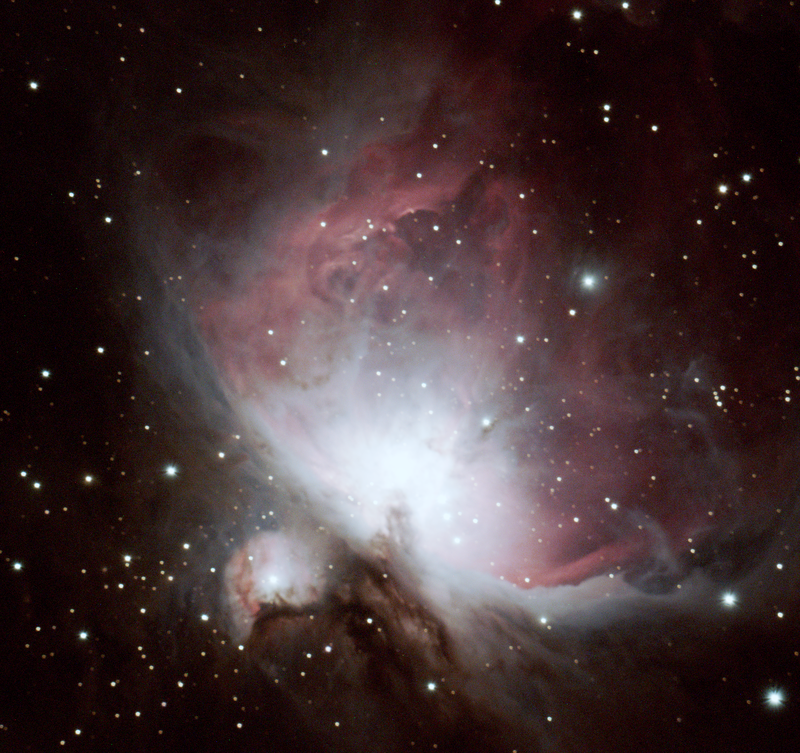 He gives detailed explanations and tips for imaging the chosen objects. If weather permits, Dr. Sasse takes images of these targets to live, answering questions and describing how to best capture the targets. I was able to attend the first live Sky Tour back on January 23, 2017. The first event covered Dr. Sasse discussing imaging real-time deep-sky objects in the southern hemisphere. The session was greatly attended by interested folks from around the globe. The interactive chat feature is a plus as attendees are allowed to ask Dr. Sasse questions real-time during the imaging session. I found this new feature offered by iTelescope.net to be of value to the educational community. Episode 2 took place live on February 7, 2016, and covered exploring the biggest globular cluster in the Milky Way, Omega Centauri and one of the most amazing bright nebula Eta Carina. Unfortunately, I wasn't able to attend this session, however, iTelescope.net archives all of their Sky Tour episodes on Youtube so those who have missed it may view it at a later time. Fortunately, a group of 6th graders and I were able to attend their Jupiter imaging session this past weekend. It was the first episode covering planetary imaging. The session was very informative and it inspired us iTelescope.net members to want to do planetary imaging with their network. That type of setup is a bit different than the normal setups their remote robotic telescopes have for deep-sky imaging. At the end of the of the session, I thanked Dr. Sasse for sharing his imaging session with us and he mentioned he would be interested in doing other imaging sessions with students in parallel with his Sky Tours. Needless to say that this was very exciting to hear and now we are working on a plan to execute this with science classes in various school districts. iTelescope.Net Sky Tours are included with all of their monthly subscription plans, each of which allows you to take control of the iTelescopes to take your own images. They have also introduced a new subscription plan, SkyTour, which only grants access to the Sky Tours live streams, but at a quarter of the cost of their lowest imaging subscription plan. This new plan is available for $4.95 USD per month and includes access to the Sky Tours live streams, access to the archived videos of those streams (in case you missed the live show), and the ability to download images taken during the streams once they are uploaded. 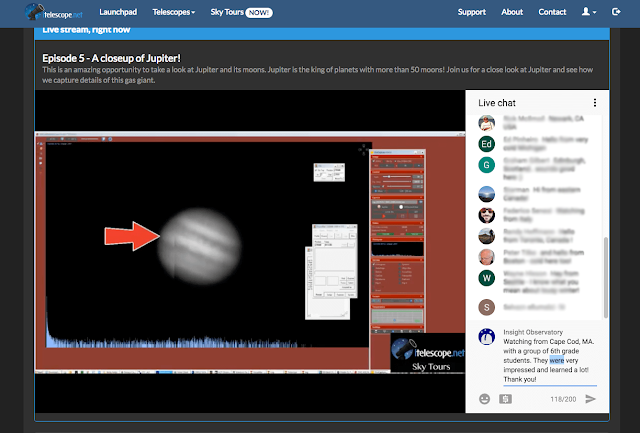 You can see a list of the dates and times of the streams, as well as which targets will be covered by checking the Sky Tours Schedule on their website, www.itelescope.net. 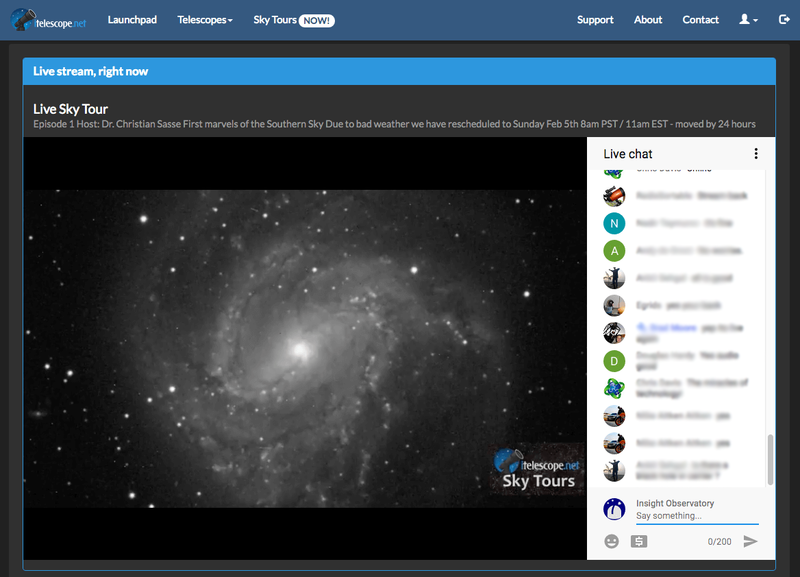 To sign up for iTelescope.Net Sky Tours, you must first register for an iTelescope.Net account. Once registered, you can sign up for the SkyTour subscription plan (or any of their other subscription plans) by following this step by step guide, and select SkyTour (or their other plans) from the menu. It really is that easy! We could also help you get setup and started with iTelescope.net and their Sky Tours by contacting us here at Insight Observatory.